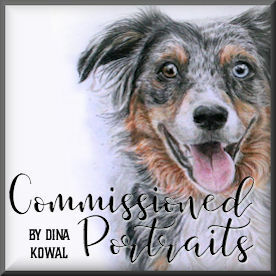 Dina Kowal Creative: Skipping Stones blog hop, sketch challenge, and free stamps! Skipping Stones blog hop, sketch challenge, and free stamps! If you just happened to be popping in on me today, and have a hankering to hop, you’ll want to go back and start at Skipping Stones Design so you don't miss a thing! If you arrived here from Kandi's blog, you're on the right track. As if a blog hop isn't enough, we're also showing off a new sketch by Kim Kesti for Skipping Stones Sketch Tuesday! If you'd like to play along, link up your card over at the SSD blog. 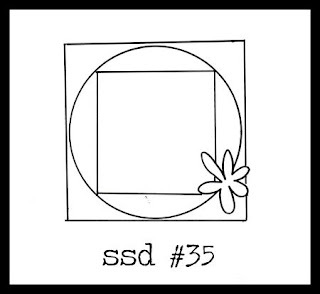 Remember to add keyword SSD035 if you are uploading to any online galleries. Here's my card, a bit out of my comfort zone... the bird image is from the Garden Stamp Kiss set, as are the circle and dot images I used to create the background panel. I watercolored in the square area (created with a Coluzzle template and scoring blade) with watercolor crayons, sketched in the branch, and stamped the bird using a faux watercolor technique (inked the stamp up with Gingerbread chalk ink, misted the stamp, and stamped the image). I shaded the bird in with watercolor pencils. The sentiment is from Healing Wings. The next stop on the hop is the brilliant Michelle Giraud, over at Twisted Chick Creations! Here's the full hop line-up, just in case you get lost... thanks for visiting today! Don't forget about the P.M.S. sale! Thanks for playing along with us this month!!! Your cards have all been amazing!!! Absolute;y beautiful! Such wonderful details! I love that set..it's very classy. Beautiful card. Such a beautiful card! I love that cloud background, and the way you stamped and colored that bird is fantastic! That stamp set looks amazing! Thanks for the chance to win! Love the card. What techniques!! SSD designs look like great inspiration starters. I would like to win one. Wow. These stamps are so incredibly beautiful. I'd so love to ink them up and stamp away! Your card is gorgeous, love the soft colors and you did a wonderful job with the shading. The Timeless Textures set is a 'must have', thanks for the opportunity to win it! Great set, Dina! I sure would like to have this set. Of course, your work is always beautiful. The stamp set is beautiful. What lovely backgrounds they will make.Your card was very pretty & I loved all the techniques you used. Thanks for the chance to win. I sure would love to win this set. Just want to let you know your work is awesome. Hugs, Nellie. This is beautiful. I wish i was that talented. This may have been "out of your comfort zone" but you'd never know it by looking at it! Lovely card---good balance and delightful flower. This is beautiful!! Love everything about it!! great card, the colors the textures, the flower. thanks for a chance to textures, always useful. Love how you defined the square with your art background rather than another layer! Lovely card! And I would LOVE to win this stamp set - I LOVE bacground patterns! It is so great that they are seamless so you can extend them to cover as large an area as you like! Great stamp set. Really like the music stamp. Thanks for the chance to win! Love that set. Especially the music. Thanks for the chance to win. I hopped on over from the Impression Obsession Blog, I love your cards! I am new to Skipping Stones but love the Timeless Textures stamp set. Everyone has so many great ideas. I think I might be too late but if not, thanks for the chance to win! I'd love to be in for the draw, those are awesome stamps!! I can't wait to see what you do with them when you get them. 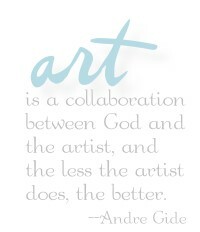 and I love your take on the sketch - you certainly would never know it was out of your comfort zone!! I adore feathers on cards and don't do it nearly enough! !